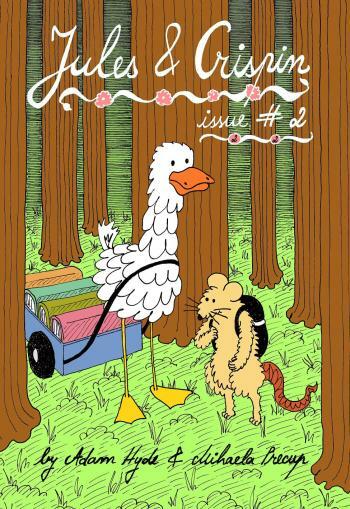 This is the digital download version of Jules and Crispin Issue 2. 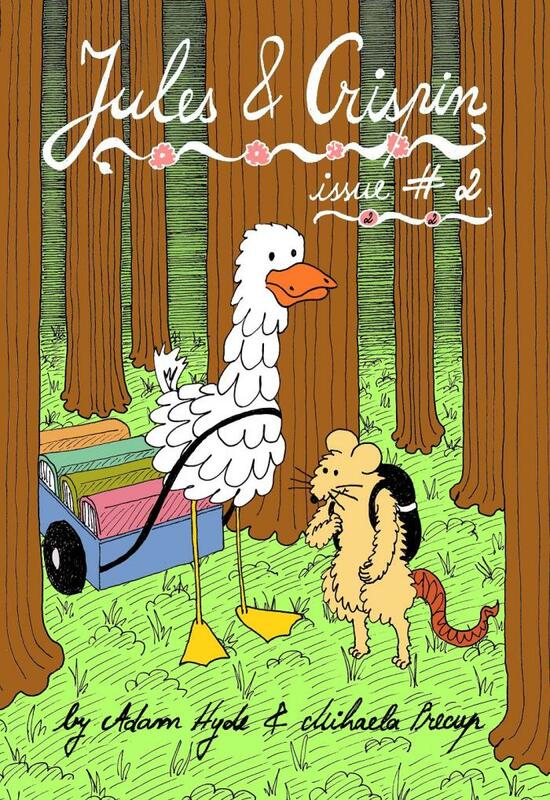 Jules and Crispin is a love story between a rat and a duck. Jules is a writer, and Crispin is an aspiring professional cook. The comic is a record of their everyday life. The co-creators are Adam Hyde, a visual artist based in Birmingham, UK and Mihaela Precup, a university lecturer from Bucharest, Romania.